Rita Leat took up post as the COO for The National Association of Licensed Paralegals in 2011 managing the strategic and operational functions of the organisation. She added to her role in 2013 by becoming the Responsible Officer for Ofqual, dealing with compliance. She became a founder Director of The Professional Paralegal Register in 2014 and the Institute’s of Paralegals Chief Executive in May 2017. Her early career was in teaching and lecturing in Law, where she held a variety of posts including delivery on the LL.B. and other post-graduate courses. 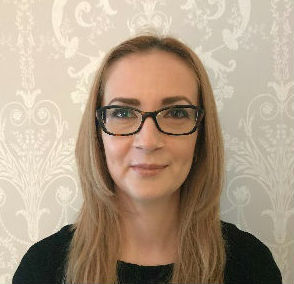 As a legal editor for five years at ILEX, she enhanced her skills for developing legal qualifications for the Paralegal sector. From 2007 to 2009 she utilised her commercial law expertise as a commercial lawyer for GlaxoSmithKline. Her role as the Chief Executive of the IoP encompasses the strategic development of a professional membership body for paralegals. Ian Grant LLB Hons Cert.ED, Is a Barrister of the Middle Temple and Director of Heselwood & Grant Solicitors.Ian has many year’s experience as a Wills and Probate practitioner and currently is the Head of Wills and Probate at Heselwood and Grant Solicitors. He is a skilled teacher and trainer of Law and has authored many course books for use by Paralegals and other practitioners who undertake legal qualifications and training. Ian took over the role of Head of Training and Development at the Institute of Paralegals in May 2017. Carmen moved to London from a small city in Romania in 2009. She studied Law at a Romanian University and worked as a lawyer for five years in a Romanian law firm before moving to the UK. She took the post as the Head of Membership of the IoP in January 2015, and her job is to lead on the development and management of the IOP’s Membership. She actively contributes to developing programs, initiatives, and policies designed to increase membership and she creates, updates, and distributes information to current members as well as prospective members. Alex Thackray BEng EMBA started his career in commercial roles for large multinational companies, focusing on contract formation, management and dispute resolution. In 2013 he graduated from Aston University in the Executive MBA course, sitting in the top 10% of all students within the cohort. Alex is the Head of Communications and Media for the Institute of Paralegals following the formation and successful development of a forward thinking digital marketing agency. Alex has gone on to lecture at Aston University on the capabilities of new digital media channels. Alex took up his role with the IOP in May 2017. Help our members to develop their careers as legal professionals. Lobby government, regulators and the legal profession on issues concerning paralegals: rights of audience, diversity, professional recognition, terms and conditions, training, etc. Lobbying the Ministry of Justice and Her Majesty’s Court Service regarding Rights of Audience for our members. Develop Paralegal Training Courses and qualifications for the progression of our members. Partnering with University Law Schools to promote professionally approved legal education and training. Working with all Legal Sector key stakeholders for the promotion of Paralegal careers. Promoting international recognition of Paralegals through partnering with other professional organisations and bodies. 1.1. The name of the association is The Institute of Paralegals. Acting for the public good. 3.2. The Institute will award memberships to paralegals outside of the United Kingdom and may undertake partnerships or activity in other jurisdictions if it benefits the Institute, the paralegal profession or the sector. "Legal Practice Experience” (LPE)" means relevant employment or voluntary work which requires a person to perform substantive legal work that requires knowledge of the legal system and/or legal concepts. 5.1. The purpose of the Institute is to assist individuals with their career development as well as enabling the development of the paralegal profession on a national level. Accordingly, the Institute will adopt an inclusive policy welcoming those at the beginning of their careers as warmly as those already well- established. 5.2. Membership will be decided by a Membership Secretary. For all applications relating to individual membership, the Membership Secretary will use its discretion to determine (where relevant) whether the amount and type of legal work and (if appropriate) legal study done is sufficient to warrant membership. In all cases when considering whether to grant membership, the Membership Secretary will have regard to an applicant's antecedents and character. The Membership Secretary will also consider whether the granting of membership is in the interests of the Institute. 5.3. The Institute will strive for diversity in the paralegal profession. Membership will be open equally to all people irrespective of creed, colour, nationality, ability or disability, age, gender or sexual preference. Membership will also be open to those with spent criminal convictions, however the Membership Secretary will be entitled to take such convictions into account when considering an application. 5.4. The Institute will retain its right to refuse membership if it considers this appropriate. Corporate membership will be open to any organisations that wish to interact with the Institute or the paralegal profession. The Membership Secretary will use his/her discretion to determine whether a would-be corporate member is of sufficient credibility, relevance and utility to join. The Membership Secretary shall seek guidance from senior staff where appropriate. Provision will be made to allow retired Fellows to continue using their professional designation in an honorary capacity. Retired Fellows may be exempt from all continuing professional development obligations. The Institute can offer Honorary Fellowship to appropriate individuals. Honorary Fellows are exempt from payment of all dues and continuing professional development obligations. 5.7. Any person desiring to become a member shall submit a written application, and upon acceptance and approval shall be a member. The decision of the Secretariat shall be final. 5.9. A Member may be expelled permanently or temporarily from the Institute by the Secretariat for conduct deemed unethical. The Member shall be given the opportunity of explaining his/her/its behaviour before the Secretariat takes any decision. The decision of the Secretariat shall be final. 6.1. This constitution can be amended at any time by the Secretariat. Setting professional standards, providing recognition for paralegals and promoting professionalism. Our purpose is to uphold the highest standards in knowledge, practice and ethics across the paralegal profession and to support individual paralegals in developing the skills and knowledge required to meet these highest standards. Increase the number and standard of professional paralegals. To seek Chartered status within the next five years. We will do this by providing education and training; maintaining our position as the authority on the Paralegal profession within the legal sector and maintaining Recognised Body status with the over-arching voluntary regulator for Paralegals in England and Wales, the PPR. We will work with our members to improve the knowledge and presence of the IoP by promoting specialist groups and associated activities. Professional – We are open and transparent in all that we do and are accountable for our actions. We are ethical and adhere to our policies and procedures. Passionate – Our belief in making a positive difference to the skills and professionalism of paralegals means we always strive to give our best in promoting paralegals. We believe that by growing and helping to develop a community of professional paralegals, we will help ensure that this creates value for consumers, other professionals alike and the society as a whole. Competent – Our competent team plays its’ part in helping the IOP to accomplish its’ mission and vision by working together to deliver quality services. We set the competency standards for the Paralegal profession and therefore ensure that we as an organisation are competent in all that we do. Diversity - We respect and value difference, embracing diversity in our people and our output. Opportunity - We provide opportunity to our members around the world - whether being students or more experienced paralegals– and we support them in their careers.